I love this Dr. Bronner’s product so much that I have to say I have not found a better brand of soap. I even toyed with the idea of asking my father who is a chemical engineer formulate a similar product. The essential oils, we found suppliers for. But the rest are too hard to find. I tried searching the internet for suppliers, but there is not very much info and I have got to learn how to speed up computer, since my year old Lenovo is starting to conk out on me. But given the chance, I just might venture into distributing a similar product #wishfulthinking – when I figure out the perfect formula that will clone Dr. Bronner’s liquid soap. 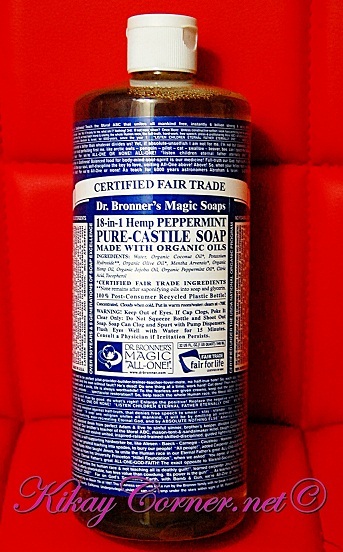 Emanuel H. Bronner was the maker of Dr. Bronner’s castile soap, a concentrated liquid notable for the vast amount of lather produced from a few drops and the vast amount of tiny text on its packaging. Bronner, whose parents were killed in the Holocaust, promoted a belief in the goodness and unity of humanity. 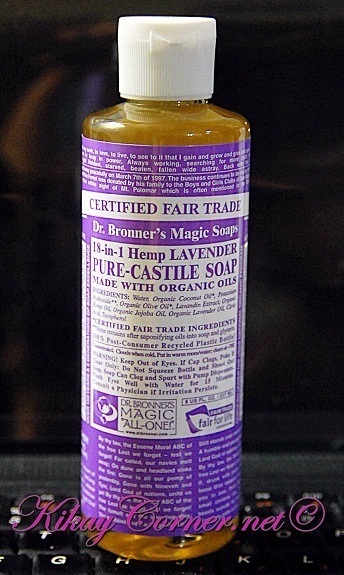 All Dr. Bronner’s classic liquid & bar soaps are not only certified under the USDA National Organic Program, but also certified Fair Trade! In addition, they offer a range of high-quality organic and fair trade personal care products, from lotions to shaving gels – all certified under the same USDA program that certifies organic foods. Is it stll available in healthy options?